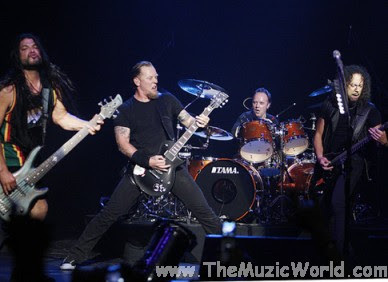 METALLICA is gonna perform in India at F1 Rocks on the occasion of the inaugural Formula 1 Indian Grand Prix during October 28-30, 2011, at Greater Noida and Banglore. Metallica bassist Robert Trujillo also mentioned about this concert during an interview to the Blabbermouth.net. Hope that there wont go anything wrong like the Bryan Adams concert in Delhi last time.